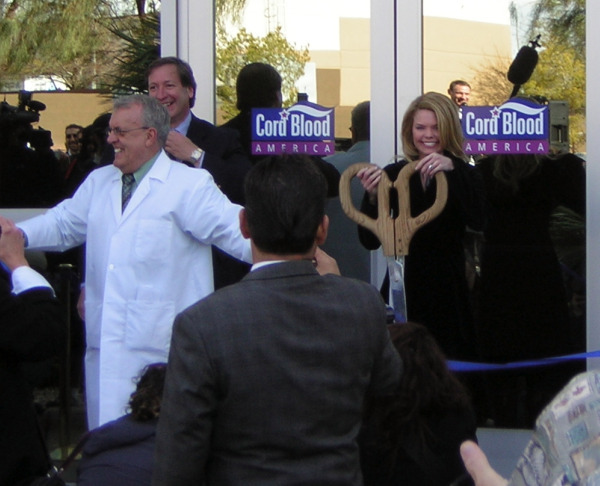 On Friday, January 22nd, I went to the grand opening of the Cord Blood America, Inc., corporate office located just south of McCarran Airport. CBAI, founded seven years ago in Southern California, has just moved to Las Vegas. 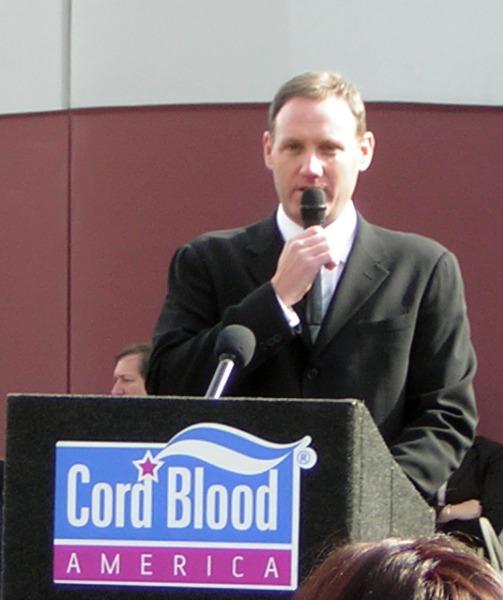 If you’re like most people (myself included) you probably haven’t heard of Cord Blood America, or even what they do. 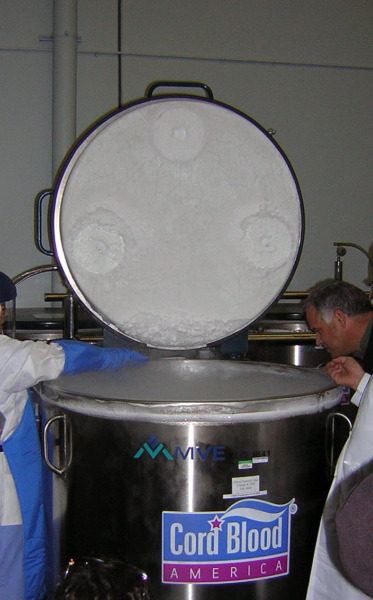 Started with funding from credit cards, CBAI now claims to have one of the largest stem cell cryogenic storage facilities in the nation. Most people will remember stem cells for the great promise they hold for medicine, and the controversy over taking them from embryos. However, the stem cells at CBAI (and other cord blood banks) are taken from umbilical cords at birth. The publicly-traded company occupies a modern-looking 17,000 square-foot building just a short block south of East Sunset Road. After touring the lab and storage facility, I talked with the lab director, Dr. O’Neill. Originally from Scotland, he still has traces of a highland accent even after more than thirty years of living in America. I learned that he once worked with Robert A. Good who was the first physician to perform a successful human bone marrow transplant. I asked him what, if anything, he found surprising about Las Vegas. He said it was the friendliness of the people here that impressed him. Dr. O’Neill told me that out of the small amount of blood taken from the umbilical cord at birth, there are in total perhaps one billion cells, and about three percent of them are stem cells. Stem cell transplantation is currently used as a treatment for some cancers, blood disorders, and congenital conditions. It is not a routine procedure, but it is an improvement over bone marrow transplants, which were formerly used since bone marrow is a source of stem cells. Current prices for extraction, testing, and storage of umbilical cord blood is roughly $1000 to 2000 for the initial fee and about $100 per year after that. Stem cells from cord blood can be beneficial for the child, can also be useful for the parents or relatives, and the possibilities don’t stop there. Stem cells may also be used for treating other people when the tissue type matches the recipient. I saw the indoor liquid nitrogen storage tanks that currently hold about 20,000 samples. Was it a concern that the main liquid nitrogen tank must be kept outside in the desert sun? It’s definitely the kind of thing the lab director has to worry about. But the tank is insulated, and when the nitrogen level gets low the tank automatically sends a signal to the suppliers, in Los Angeles or Phoenix. There are no immediate plans for conducting research at the facility here, according to Dr. O’Neill. However, there may be enough space in the building for a research lab if the company wants to do that. I left with the impression that Cord Blood America is a business that brings good things to the Las Vegas valley. I am so glad to see businesses like this one moving to Las Vegas. Diversity is something we need, and businesses that need to hire well-educated employees are good for Nevada, too. Hope they really do start conducting research, but in the meantime, I’m just glad they’re here. How much were you paid by Matt to write this article? Seems you don’t know much about the company or the background but you were impressed by the building. Lt. Governor is this company’s big backer? That’s not saying a whole lot. Not very good things out there about this company. Everything good seems to be the same person making several accounts and everything bad it all over and making them look not so legit. Megan, I also hope they can conduct research here. Vegas can certainly use more diversity. Oscar, nobody from Cord Blood America paid me anything. They did have a nice buffet for the media, though. Just an additional info. Donating cord blood is medically safe and doesn’t affect pregnancy. Donating poses no health rsiks to the pregnant or the baby. Cord blood was once routinely discarded as medical waste but now its recognized for its life-saving capabilities, ideal for blood transplants because it is rich in self-repairing stem cells. 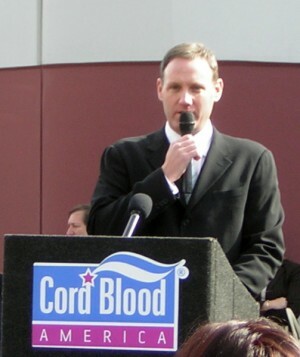 If you waould like to know more about cord blood, you can vist the http://bloodbanker.com/cord for more information. Here’s another source of information about public cord blood banks. Click here.